Mother Nature is still mixing some April Showers in with my May Flowers but I’m ready for blooms. Here are ten of my favorite florals this month. 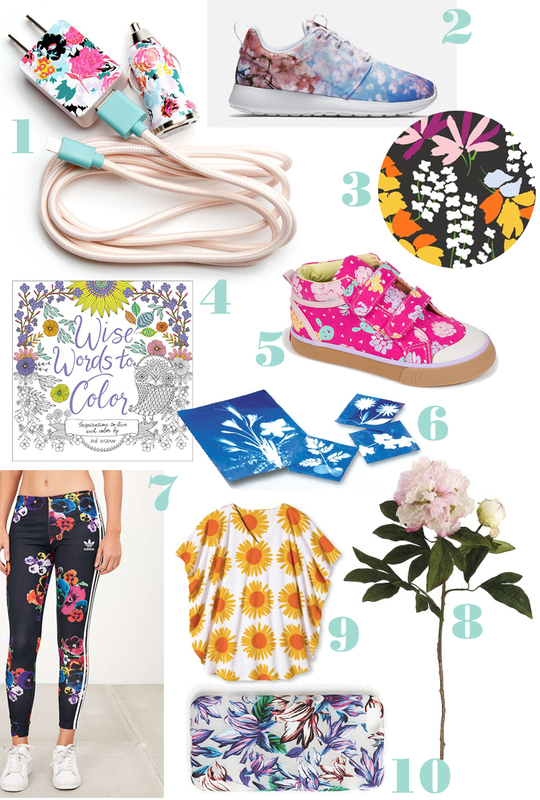 From a pretty new coloring book of clever quotes and pretty flowers by Zoë Ingrams, to Quinn’s favorite kicks this season, to retro SunPrint Paper to bring me back to childhood, May is bursting with pretty petals. Darn you for always finding such cute things!